Paint your pout with gilded glamour. Bold and richly pigmented, these metallic liquid lip colors shine with a soft luster and dry to a smooth matte finish—without drying out your lips. 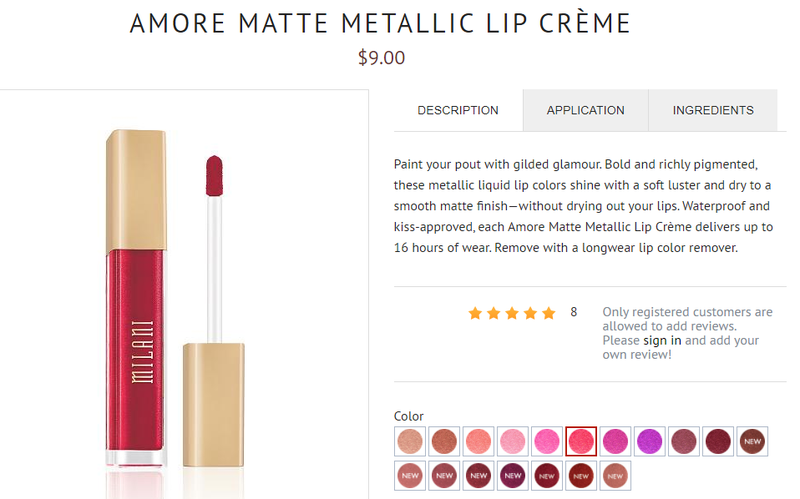 Waterproof and kiss-approved, each Amore Matte Metallic Lip Crème delivers up to 16 hours of wear. Remove with a longwear lip color remover. How to use: Using the soft plush applicator, glide the liquid matte across your lips smoothly, starting at the cupid’s bow in a criss-cross pattern, then along the outer corners of lips, and the bottom of lip. Next, fill in the rest of the lips as if you are connecting-the-dots. How does it smell? A bit smelly but it’s not gonna stay after you apply it, only when I open the cap for the first time. How long does it takes to dry off? Dry immediately. 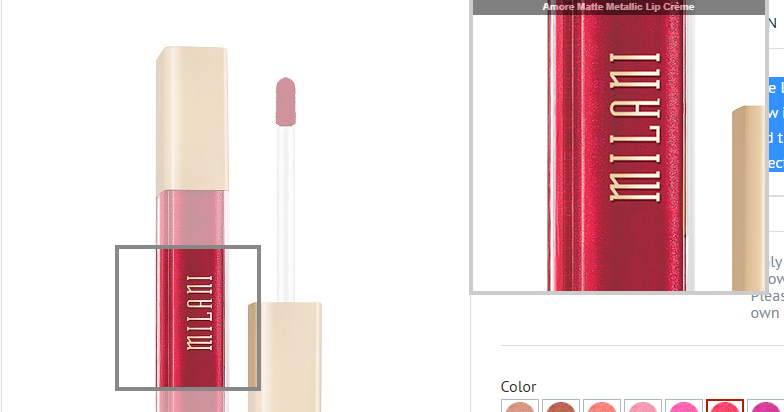 Have you try Milani Cosmetics metallic liquid lipstick? I personally think that the brand always deliver suprising quality, overall experience with the product is good. I have no complain about the brand. What about you? tell me on the comment section below how your experience with the brand product.